Beware! Sandton Direct is an offshore broker! Your investment may be at risk. 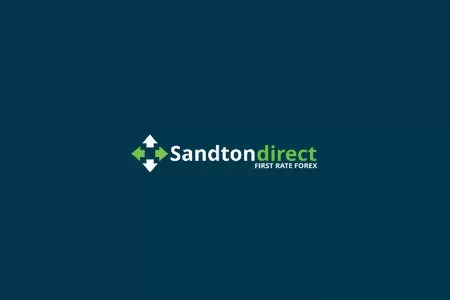 Sandton Direct is an offshore broker, without a license to operate on regulated markets like the EU, UK or Australia, which offers several account types with a leverage of up to 500:1 and a web based trading platform. Trading instruments include 18 forex pairs with few exotic currencies like South African Rand, Turkish Lira, Swedish Krona and Mexican Peso, as well as CFDs on oil, silver, platinum, gold, Bitcoin and Litecoin. Trading conditions put aside we have some serious concerns about the credibility of the broker as a whole, so if you are thinking about trading with them be sure to read this review first. Sandton Direct is owned and operated by Sandton Limited, which is an offshore company based in St. Vincent and the Grenadines. They say to have offices in Dubai, United Arab Emirates, Kiev, Ukraine, New York, USA, London, UK, and Warsaw, Poland, and to be regulated by the Financial Services Authority (FSA) of St. Vincent and the Grenadines. The problem here is that FSA does not regulate forex and CFD brokers, but only commercial banks. So basically Sandton Direct is a unregulated offshore broker with rather limited credibility. Have in mind that offshore companies in general have pretty shady backgrounds and unregulated offshore brokers are not to be trusted at all. Your money will be safe only with brokers, regulated by official regulatory authorities such as the Australian Securities and Investments Commission (ASIC), the Financial Conduct Authority (FCA) in the UK or the Cyprus Securities and Exchange Commission (CySEC). That is because brokers with legit licenses have to follow very strict fiscal and ethical rules among which not to offer trading bonuses – the practice is highly controversial and is banned in the European Union – to provide traders with a negative balance protection, to keep their funds in a segregated account, to maintain a certain minimum operational capital, to file regular reports, to allow external audits and with some regulators even to insure traders capital. So for example with FCA brokers the insured funds are up to 50 000 GBP, while with CySEC brokers the insurance covers up to 20 000 EUR. Sandton Direct accepts payments with major credit cards like VISA and MasterCard, as well as bank wire and even Bitcoins, but not e-wallets like Neteller and Skrill and that is significant, because recently Skrill adopted a new anti scam policy, according which all brokers that want to use its services and target customers in the European Union should prove that they hold a legit license. As we have already noted, Sandton Direct does not have a legit license. Also, beware of any trading bonuses that might be offered to you as they are always linked to some special withdraw conditions. For example if you accept a bonus by Sandton Direct you will not be able to withdraw unless you trade 1 standard lot or 100 000 USD for every bonus dollar you have received. Otherwise the minimum deposit requirement with the broker is 100 USD. Take a note that scammers are well prepared and use lots of resources including call centers and the so called robo scam websites like Crypto Revolt and Bitcoin Evolution. Robo scam websites are basically created around a video ad, promising you fast, easy and risk free cash in return of a tiny investment. And all you are asked for is to register with your e-mail and phone. If you make that step, next you will be transferred to the web page of unregulated scam broker, where you will be offered a trading account and a welcoming bonus in exchange of a deposit of about 250 USD. Take a note that at first trading with the scam broker might seem like a lot of fun. You will profit on all your trades and the money in your account will almost double in just a few days. That, however, will not be real. Scammers will simply manipulate your trading results so that latter you will be much more susceptible to the idea of investing a larger sum. And sooner or latter you will get a phone call too. It will be “your senior account manager” or “senior market adviser”, who will confidently explain you, that if you really want to make some big money you will surely have to invest more – like at least 10 000 USD. And most people do not realize that they have been scammed until the very moment they request to withdraw some of their funds. Than it will suddenly turn out this is not possible because of some minim trade volume requirement, you have agreed with without noticing, when you have accepted the welcoming bonus in the first place. Certainly it could be something else, but whatever the excuse, in the end it will all come to the same – you will not be given a single penny back. Although chances to recover your money after you have been scammed are pretty slim, the best you can do is to file for a charge back with your credit card company. Fortunately, since last fall both VISA and MasterCard extended the period in which you will be allowed to do that to 540 days. And if for any reason scammers have managed to get to your banking details like credit card numbers and online banking password, immediately change the password and block your credit card. And if scammers have tricked you to install Team Viewer, of course delete the program. And one final note. If you do not want to fall victim of a scam a second time, do not accept offers by the so called “recovery agencies”. Some of them even work with the scammers that have robed you. If you contact such an agency you will be made to pay some money in advance and basically that will be the end of the story.